The occasional teasers I post on here seem to go down quite well so I thought I’d try this one on you. I recently found it in an old book on the topic of topology, a fascinating field that finds many applications in physics, including several in my own field of cosmology. It’s probably best not to ask why, but the two gentlemen in the picture, A and B, are tied together in the following way. One end of a piece of rope is tied about A’s right wrist, the other about his left wrist. A second rope is passed around the first and its ends are tied to B’s wrists. 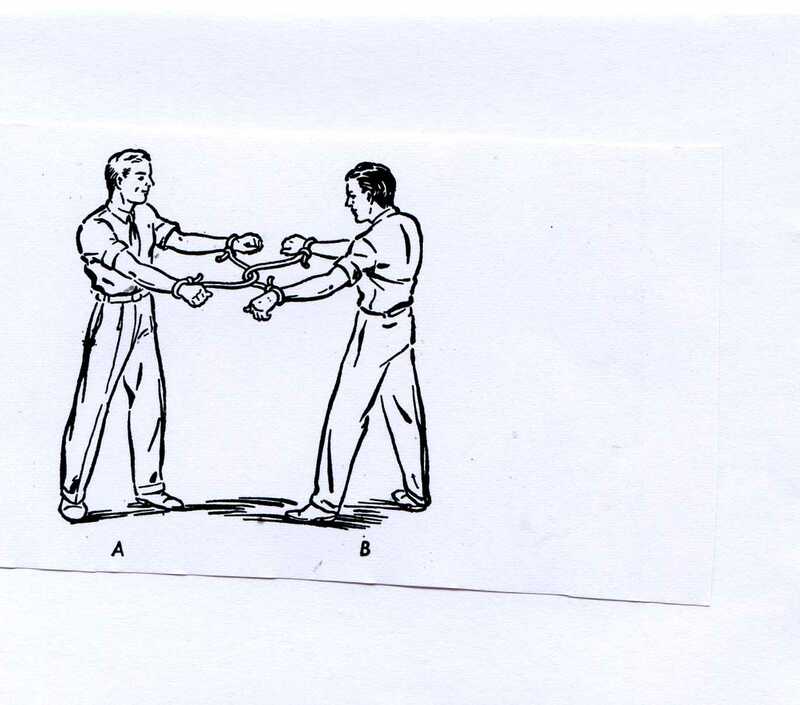 Can A and B free each other without cutting either rope, performing amputations, or untying the knots at either person’s wrists?